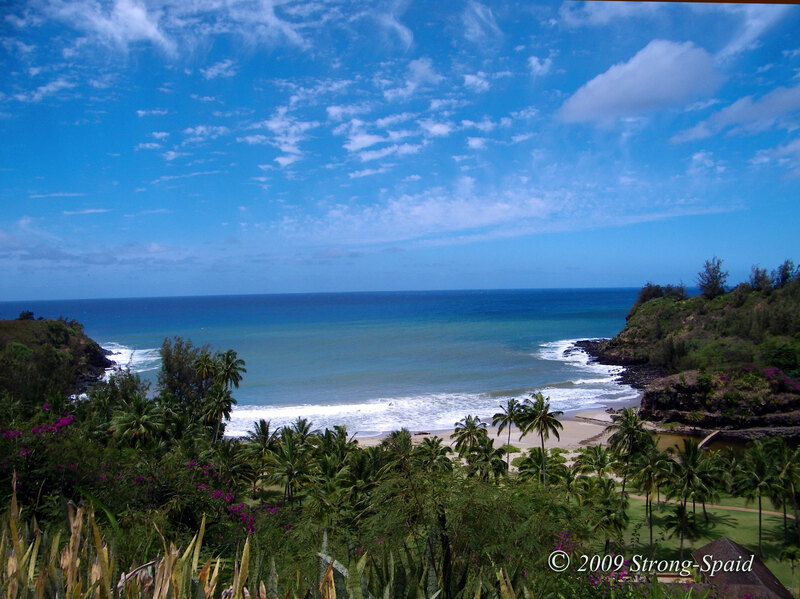 When I first saw the Allerton Garden in the Lāwa`i Valley on Kauai, I knew that I had found a slice of paradise on earth. Blue ocean, tropical flowers and trees, and warm tradewinds—absolutely beautiful. The Allerton Garden is so stunning it almost seems unreal. When I found out that parts of Jurassic Park and The Pirates of the Caribbean (on Stranger Tides) were filmed in this beautiful garden, I wasn’t surprised. It would be extremely difficult to find a better place for a tropical fantasy adventure. 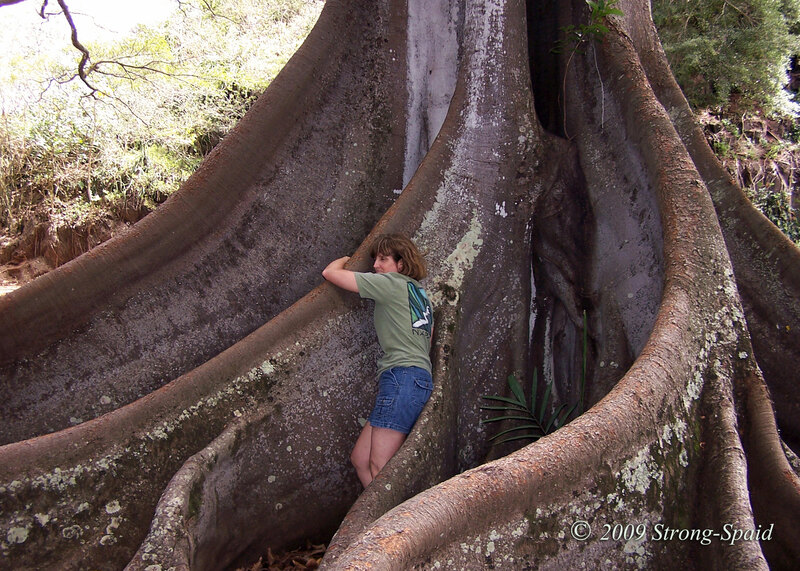 The roots of the Moreton Bay Fig tree are so large, that I was reduced to the size of a small child when I stood within them. As I hugged one of the large tree roots, all anxiety and worry melted away. Surrounded by the smell of earth and wood, I felt so protected. It was the first time that a tree has ever hugged me back like that! And then—there are all the plants and colorful flowers. Words cannot accurately describe the various colors and shapes. 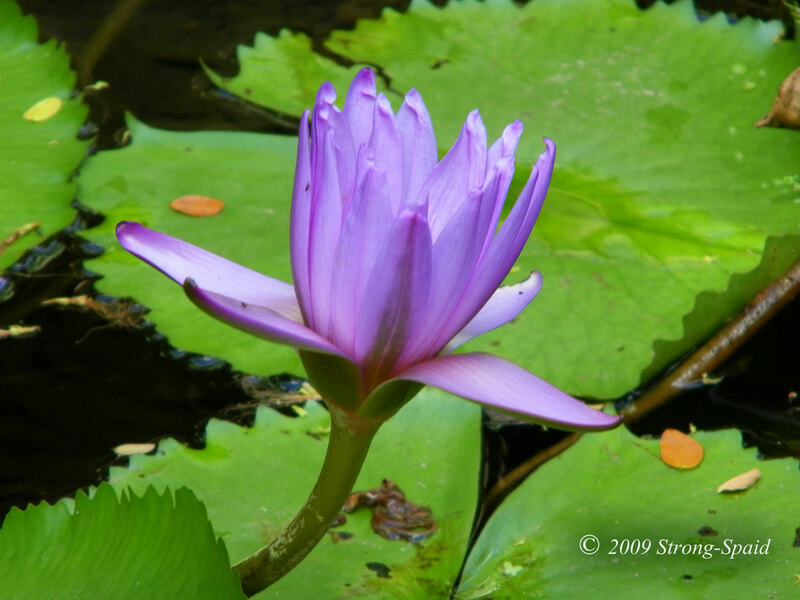 If you ever travel to the island of Kauai, make sure to visit the Allerton Garden! 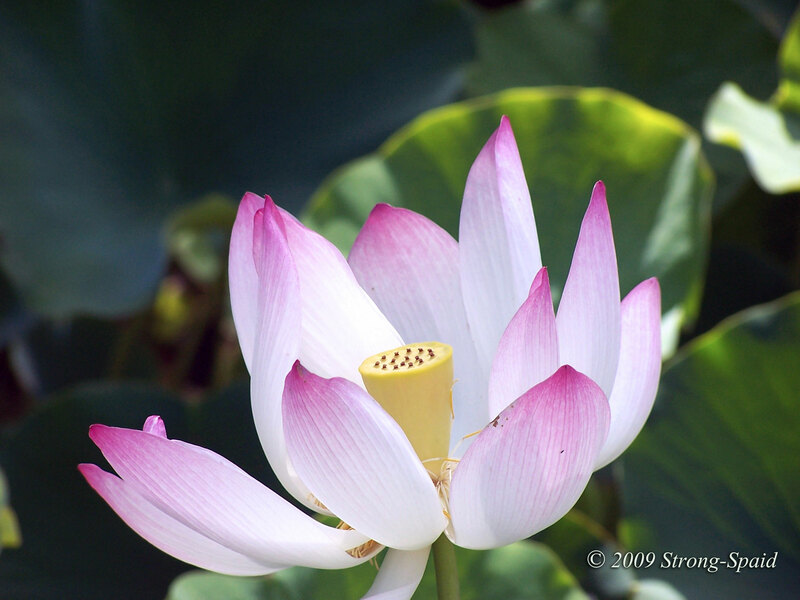 If you enjoy the Allerton, you might also want to visit the McBryde and Limahuli Garden & Preserve. Each one of these gardens on Kauai has its own unique appeal and the price of admission goes back to the maintenance of the gardens. In my opinion, it’s definitely worth it. 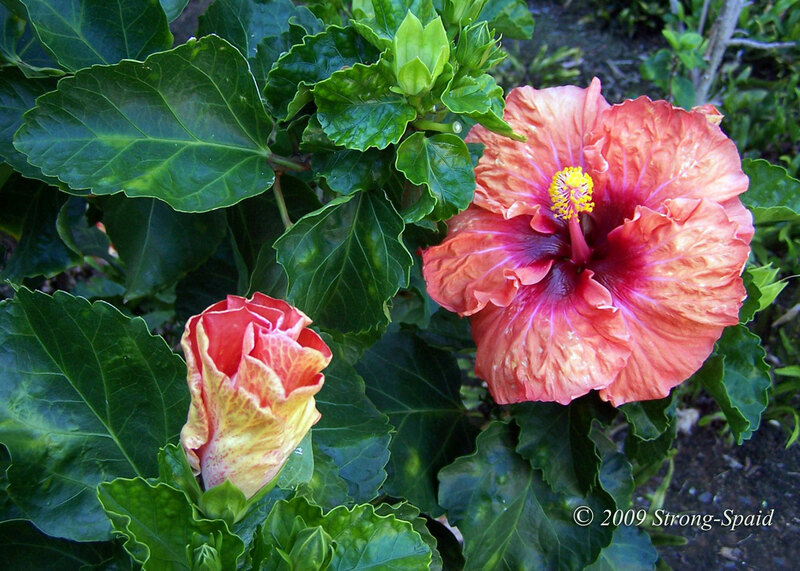 This entry was posted in photography, Travel and tagged flowers, Kauai, Moreton Bay Fig tree. Bookmark the permalink. Thanks…..I agree! Wish I could live there. Sigh. If I had never seen anything else, I probably would think it was an every day sight that could be found anywhere, and not appreciate it. But I know better……and so now I dream. Surrounded by the smell of earth and wood, I felt so protected. It was the first time that a tree has ever hugged me back like that!